“A masterful treatment of the subject in all aspects. It offers a profound linguistic and philosophical analysis of the philosophy of Madhyamika in connection with Chi-tsang’s Chinese Madhyamika and Yogacara, presented in a clear logical order. It provides a very sound hermeneutic approach by using all the important and relevant primary sources in original languages (Sanskrit, Tibetan, and Chinese), demonstrating the author’s solid knowledge of the subject. All the materials are well organized, the difficult terms well translated and explained, and the arguments well supported by textual evidence. This is indeed a scholarly masterpiece. I will be the first instructor of use it as a major text for my graduate seminars and undergraduate courses in Mahayana Buddhism”. The Madhyamika philosophy of Nagarjuna articulates the basic Mahayana insights in two themes: the identity of emptiness – depended co-arising, and the two truths. In the Foundational Standpoint of Madhyamika Philosophy Gadjin M. Nagao, one of the foremost Buddhist scholars in the world, presents an in-depth interpretation of this foundational philosophy of Mahayana Buddhism. In this book, the author has culled data from Sanskrit, Tibetan, Chinese, Japanese, and Western sources, a rare feat which only a few scholars are capable of accomplishing. The translation is faithful, readable, and masterful. Gadjin M. Nagao is Professor Emeritus in the Department of Buddhist Studies at Kyoto University. John P. Keenan is in the Department of Religion at Middlebury College. For centuries Western philosophers, in their dominant metaphysical mode, have begun their philosophizing in Aristotelian wonder. Yet in the very development of their metaphysical attempts to penetrate to the source of that wonder, the task of fabricating their questions often replaces that originating wonder and functions in a presumed total self- reference. Well-honed philosophic systems enclose their participants within the interlocking meanings of their basic definitions. Wonder becomes displaced with work and questioning with clarifying. Wonder abates as metaphysics grows. In Heideggerian terms, one must over- come metaphysics to uncover the primal wonder before the ensemble of beings. Madhyamika philosophy is an attempt to think in terms of the otherness of ultimate meaning, to develop philosophical discourse in constant awareness of the primary wonder of ultimate meaning, and in recognition of the failure of language to encapsulate that meaning. Madhyamika is the central focus of Mahayana Buddhist thought, lying barely concealed behind iconoclastic Zen aphorisms and permeating doctrinal thinking in Tibet, China, Korea, and Japan. The Madhyamika thought of Nagarjuna took its impetus from the Prajnaparamita scriptures and, like them, was aimed at a deconstruction of the earlier Abhidharma metaphysics. Abhidharma was an analytic and scholastically sophisticated conceptualism produced by the monk- A scholars of India. They attempted to map the nature of reality by identifying and defining the essences (svabhava) of things and then outlining the specific stages on the path to awakening in the light of those essences. The Prajnaparamita response was to make fun of these Abhidharma pretentions, and the nameless authors of these Prajnaparamita scriptures delighted in dropping conundrums at the feet of the scholastics, who, like their latter-day counterparts, were ill-equipped to deal with jokes. "A bodhisattva is a bodhisattva," the Prajnaparamita scriptures announce, "because there is no bodhisattva And that is why there is a bodhisattva." In the perfection of wisdom (prajna-paramita), a bodhisattva has no essence. All things are empty of essence. And that emptiness is declared to be their very being. But, humorous though their rhetoric may have been, the Prajnaparamita texts had a serious purpose. The conceptualism and essentialism of the scholastic path was felt to be not only overbearing and irrelevant, but also an obstacle to awakening. The desire for the security of following the "right" path laid out in clear and precise concepts preempts effort toward awakening and precludes awareness of the complete otherness of the goal, an otherness anticipated by no previous expectations. Nagarjuna took up this Prajnaparamita theme, but presented it through a reasoned and logical argumentation against all forms of conceptualism. His reasoning wrought a revolution in Buddhist thinking and established the basic structure of one of the world’s major philosophic traditions. 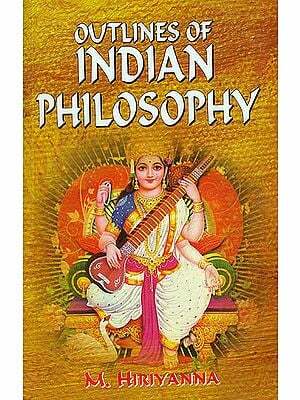 Madhyamika philosophy has not provoked serious philosophical reflection in the West. Parallels drawn with Western thought are more often seen by Western thinkers as confirming positions they already hold than as challenging them to rethink those positions. The affirmation that all things are empty of essence finds a ready acceptance among some Heideggerian thinkers, with their agenda of overcoming metaphysics. The emphasis on dependent co-arising is quickly welcomed by some Whiteheadians, who see the entire universe as an interdependent, organistic whole. Heideggerians and Whiteheadians welcome Nagarjuna as confirmations of their own thinking, while critics of these philosophers see Nagarjuna as no less misguided in approach and content. Read in its own Indian context, Madhyamika is not easily accessible to Westerners. It presents a rather forbidding discourse embedded in an alien imagery, developing as it did out of a felt need to refute Indian Abhidharma thinkers long since dead and mostly forgotten. The Western philosopher cannot adopt Nagarjuna’s rhetoric, however logical and reasoned it might be, for they do not face his problematic. His refutation of essences (svabhava) finds ready agreement among most Western thinkers, whether scientific or philosophic, and there seems to be no need to enlist Nagarjuna to overcome Western metaphysics.? Yet, despite its classical Indian context, Madhyamika philosophy offers an interlocking set of deep insights into the genesis of illusion and the dialectics that might overcome that illusion. As with any classical system, in order to reclaim Madhyamika, one must not only delve into Nagarjuna’s historical context, but also relate his thought to our modern discourse and focus it on present questions. Indeed, the inability to do so marks a system as of no more than historical interest. Such a reclaiming is what this book attempts to do. It is not a study of the way Indians thought long ago, but a reclaiming of Madhyamika for modem philosophic discourse. The uniqueness of Madhyamika lies not simply in its basic notions of emptiness and dependent co-arising. Nagao argues that the two inter- locking themes of Madhyamika are the identity of emptiness with dependent co-arising and the absolute disjunction between ultimate meaning and worldly convention. Madhyamika attempts to hold in dynamic tension a double awareness. In the first place, it stresses the emptiness of ultimate meaning as completely other from dependently co-arisen and worldly discourse, which always fails to capture any ultimate meaning. In the second place, it attempts to validate true worldly reasoning both in deconstructing all essentialist notions and in constructing skillful languages that enflesh meanings in full harmony with ultimate meaning. Madhyamika understands itself to be a skillful discourse, ready at any moment to turn its questioning back upon the worldly and conventional ground of its own discourse and deconstruct its own terms in favor of the immediacy of the experience of awakening. It is, in Nagao’s terms, a standpoint of no standpoint, since it offers no final position that might identify it among the theories of the philosophical savants. Its salient characteristic is found in wrestling an opening in speech for the phantom trace of emptiness, in resurrecting worldly conventional discourse in full recognition of the final deconfirmation of all words and discourse. Madhyamika discourse remains alien to Western ears and eyes. A Western philosopher usually spends years mastering the words and ideas peculiar to his or her own adopted area of study. Recommendations to turn attention from one’s own personal philosophic tradition to engage in the alien discourse of Madhyamika philosophy fall on cars already attuned to their own words and minds accustomed to handling their own ideas. After all, a person is capable of only so much before passing however gladly into that sweet night of final repose. Yet to those who have the zest and energy to engage themselves in an new kind of discourse and to learn how to talk this alien philosophy, Madhyamika offers a world of fresh and challenging insights. Philosophical traditions grow by encountering alien notions and languages that cannot be easily fit into preexisting language patterns. English "is saturated with Protestant Christian, or, in some cases post- Christain, values and connotations. It is, one imagines, a difficult language in which to practice Buddhism. Nevertheless, it is not impossible to be a Buddhist, a Taoist, or even a member of the Aetherius Society in excellent English. Indeed, we recall that it is the introduction of alien concepts, for which no adequate equivalent exists, that has the greatest effect upon the development of a language." Nagao’s presentation of the foundational standpoint of Madhyamika philosophy can effect such a freshening of philosophic language patterns by introducing a rich and profound alternate tradition of philosophizing. Nagao himself is an eminent Buddhologist of international reputation. He was born in Sendai to a priestly family in the Shinshu Pure Land tradition of Shinran. His father was in charge of a temple belonging to the Nishihongan-ji branch of the Shinshu sect. He began his schooling in Sapporo where his father was in charge of a temple. After moving during grammar school to Kyoto, he finished his secondary schooling and entered the then Kyoto Imperial University, graduating in l93l. He has spent a lifetime in teaching and research and held the high position of the Chair of Buddhist Studies at Kyoto University. During the war years, he traveled throughout Mongolia visiting Lamaist monasteries and doing field research for the Toko Bunka Research Center. At present, he pursues an active "retirement” in Kyoto, directing projects and participating in research endeavors. Nagao Gadjin’s interpretation of Madhyamika thinking is itself structured by his background. Under the guidance of his mentor, Yamaguchi Susumu, he studied not only Madhyamika thought but also Yogacara philosophy. He sees these two Indian schools as constituting a single organic process in Mahayana thought. The Madhyamika of Nagarjuna presents the basic principle of Mahayana Buddhism in its themes of emptiness, dependent co—arising, and the two truths, while Yogacara works out the ramifications in terms of a critical understanding of consciousness. Thus, Madhyamika and Yogacara are not seen as competing schools, although in later Indian Buddhism they did come to assume adversarial positions. The hallmark of Nagao’s scholarship is this assertion of the organic relationship between these two fundamental streams of Mahayana thinking! In the translation that follows, Nagao contrasts his understanding of Madhyamika with the San-lun School of Chi—tsang. This is not done merely to highlight Nagao’s reading of Nagarjuna. The San-lun school constituted the East Asian tradition of interpreting Madhyamika thought. The interpretation Nagao presents differs significantly from this San-lun tradition and relies heavily on the thought of Tsong—kha-pa, the great Tibetan commentator and thinker. It is through Tsong-kha-pa and the Sanskrit and Tibetan texts of Candrakirti that Nagao under- stands Madhyamika. Nagao also makes use of Pure Land themes. The omnipresent theme of ascent/ descent and other—power/self-power come from his Pure Land tradition. They are employed to describe the Mahayana dynamic of transcendent awareness of emptiness and its subsequent reengagement in the world. I would like to thank Nanzan Institute for Religion and Culture at Na nanzan University in Nagoya, Japan. It was when employed there that this translation was begun and its first drafts completed. Special thanks no to its director, Jan VanBragt, who painstakingly corrected the translation page by page. Without his contribution the task could not have been brought to completion. My appreciation also goes to Paul Swanson and James Heisig who have proofread the manuscript and often made it into a more recognizable English. Taking as his source the Prajnaparamita scriptures, the Indian philosopher Nagarjuna (150-250 c.£.) established Madhyamika philosophy as the foundation of Mahayana Buddhism. This school not only provided the fundamental standpoint for all Mahayana Buddhist doctrine, but also set the basic pattern for all subsequent doctrinal development. Any Mahayana doctrine must be grounded on Madhyamika philosophy. It is for this reason that Nagarjuna, the founder of the Madhyamika School, is revered as a patriarch of eight different schools of Buddhist thought. His significance as a patriarch of these particular schools lies not only in his grounding various sectarian teachings, but also in the foundational position his thought provides for the whole of Buddhist doctrine. It is not just that Nagarjuna’s thought has been incorporated into the teachings of these schools; the standpoint of Madhyamika philosophy itself came to be the basic Mahayana under- standing, in the light of which Buddha’s doctrine confronts the world and other systems of thought. What then is Madhyamika philosophy? To anticipate my conclusion, the thesis of this discussion consists two parallel themes. The first theme is that Madhyamika is the identification of dependent co-arising with emptiness. Its salient feature central to our merely a discourse on emptiness; nor is it simply an explanation of dependent co-arising. The unique achievement of Madhyamika lies in its unification and synthesis of both these elements. Second, I contend that the Madhyamika understanding of the two truths of ultimate meaning and worldly convention reflects the identification of the above theme and therefore must be included as central to our consideration of Madhyamika philosophy. Dependent so-arising, emptiness, and their identification are themes that encompass all meanings whatsoever. The same can be said of ultimate meaning and worldly convention, whose interrelationship also includes all meaning. These two basic themes of the identity of emptiness and dependent co- arising and the two truths relate to the same world as it is experienced in different dimensions. They intersect at right angles, so that the absolute otherness that separates ultimate meaning from worldly convention is complementary to the identification of co-arising and emptiness. The theme of the two truths is as close as Madhyamika will come to evolving a world view, while the identification of emptiness and dependent co-arising reflects the Madhyamika awareness of more ethical and critical concerns. The identification of dependent co-arising and emptiness has often been taught to be a matter of direct insight, a feature characteristic of the religions of the East. The two truths of ultimate meaning and worldly convention have been a central topic of discussion throughout Buddhist doctrinal history. But the logical elucidation of the relationship between the theme of the identification of dependent co-arising with emptiness and the theme of the two truths has, it seems, seldom been treated.